This freshly baked box gets whoops every time. 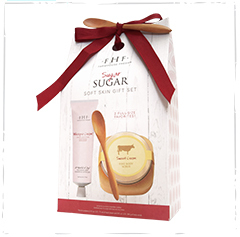 *Note - if you select "Gift Wrap Service" for your entire order, this item is already boxed, so it will be placed inside a Limited Edition FarmHouse Fresh® Cotton Tote Bag. 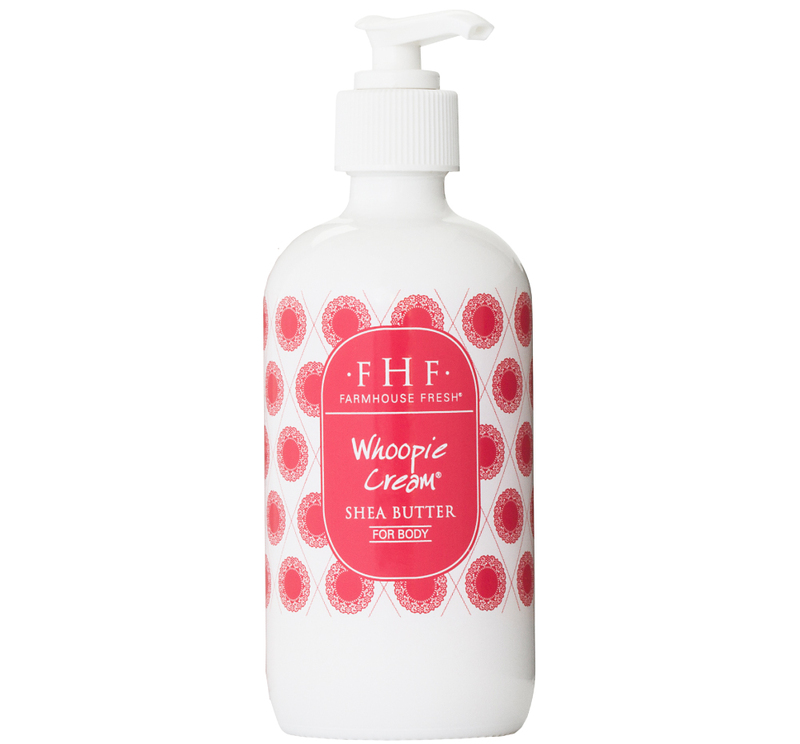 WHOOPIE BODY WASH: Vitamin E, Green Tea Extract, Sodium PCA, Arnica Montana Flower Extract, Chamomile Extract. WHOOPIE BODY WASH: Made with aloe, vitamin E and a blend of extracts that calm sensitive skin including Green Tea, Chamomile and Arnica Montana Flower. Nourishing Green Tea Extract is loaded with polyphenols and anti-inflammatory properties for delicate skin tissue. Sodium PCA, a skin identical ingredient, helps boost skin�s moisture content and prevent moisture loss. 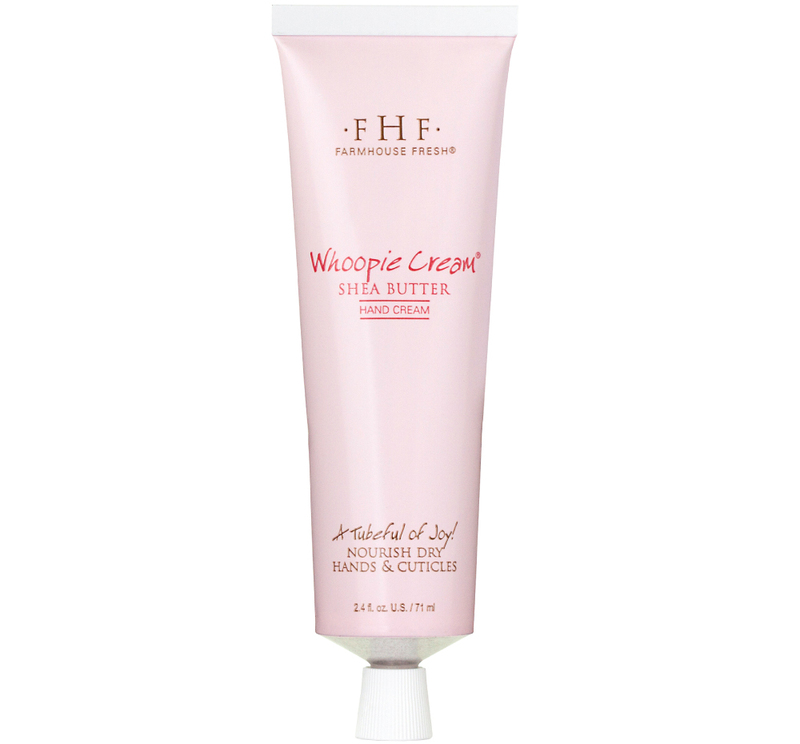 WHOOPIE BODY WASH: Water/Eau, Cocamidopropyl Betaine, Sucrose Cocoate, Polysorbate 20, Glycol Distearate, Steareth-4, Xanthan Gum, Decyl Glucoside, Aloe Barbadensis Leaf Juice, Camellia Sinensis (Green Tea) Extract, Chamomilla Recutita (Matricaria) Flower Extract, Arnica Montana Flower Extract, Sodium PCA, Parfum*, Tocopheryl Acetate, Sodium Benzoate, Phenoxyethanol. *All Farmhouse Fresh fragrances are phthalate-free. This is the best stuff ever. It smells like vanilla cake and includes a candle, hand lotion, body lotion, and the body wash. It's all great! Will be buying more. 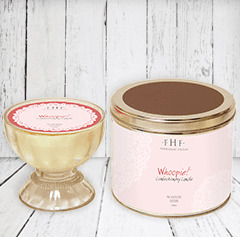 I bought this gift set because I had tried the Whoopie lip balm from my spa and absolutely loved it. However, to me, the lip balm smells totally different than the rest of the products, it's more nutty and less sugary. But thankfully the scent of the body lotion and hand cream tone down after they dry and I love that the shea butter isn't greasy like most lotions with it are. Think next time I will purchase the moon dip or sweet milk moisturizers. I sent this product for Christmas gifts. Everyone was pleased. This is The GREATEST! Not only is the SMELL AMAZING, my SKIN is so SOFT, I feel REFRESHED and CLEAN! This is a gift I know I can get for ANYONE and EVERYONE. It is THAT good!! !